Nirbhay is the country’s first indigenously designed and developed cruise missile, which can be fired from multiple platforms. BHUBANESWAR: With the successful flight testing of subsonic nuke capable cruise missile Nirbhay from a defence base off Odisha coast, Defence Research and Development Organisation (DRDO) on Tuesday demonstrated its capability to develop long range cruise weapon systems. Though India has mastered the technology in developing and producing long range ballistic missiles, the DRDO was not thoroughly proficient on the cruise technology. 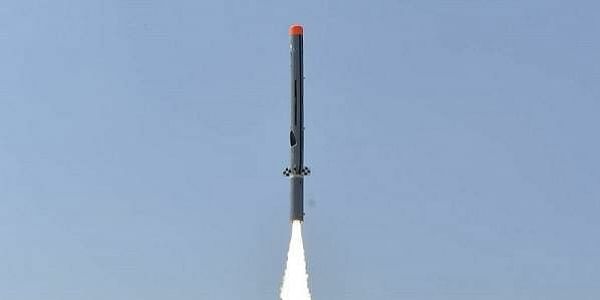 Nirbhay is the country’s first indigenously designed and developed cruise missile, which can be fired from multiple platforms. Defence sources said powered by a solid rocket motor the nuclear capable missile blasted off from a mobile launcher positioned in the launching complex-III of the Integrated Test Range (ITR) at Chandipur-on-sea at about 11.25 am leaving behind a chain of thick smokes. This was fifth test of the 1,000 km range missile after two consecutive failures and for the first time Nirbhay used a turbojet engine instead of a turbofan engine. It was guided by a highly advanced inertial navigation system indigenously developed by Research Centre Imarat (RCI). The booster motor got separated after the missile attained predesignated altitude and the turbojet engine automatically switched on taking over the further propulsion. The wings opened up by the commands from on-board computer (OBC) stabilising the flight. A defence official said the flight test achieved all the mission objectives completely from lift-off till the final splash, boosting the confidence of all scientists associated with the trial. The missile majestically cruised for around 50 minutes and covered a distance of 647 km, he informed. All critical operations including launch phase, booster deployment, engine start, wing deployment and other operational parameters were demonstrated through autonomous way point navigation. The missile was tracked with the help of ground based radars and other parameters were monitored by indigenous telemetry stations developed by DRDO. The missile can strike deep in to the enemy territory and works on search and hit principle. Since it is a low-altitude missile system, it possess the capability to duck enemy radars and reach at targets with high accuracy. The two-stage missile has a length of six meters, diameter of 0.52 m, wing span 2.7 m and a launch weight of about 1,500 kgs. The missile has the capability to loiter and cruise at 0.7 Mach at altitudes as low as 100 m.
DRDO Chairman and Secretary of Department of Defence (R&D) S Christopher, DG (Aero) CP Ramanarayanan and other senior scientists including directors of ADE, RCI , ITR and CEMILAC were present. Representatives from Army who witnessed the momentous launch congratulated the mission team for the long awaited achievement. Meanwhile, Defence Minister Nirmala Sitharaman has hailed the success of DRDO and complimented the team for the inspired achievement. She was optimistic that this successful trial would take India to the select league of nations for possessing the complex technology and sub-sonic cruise missile capability.